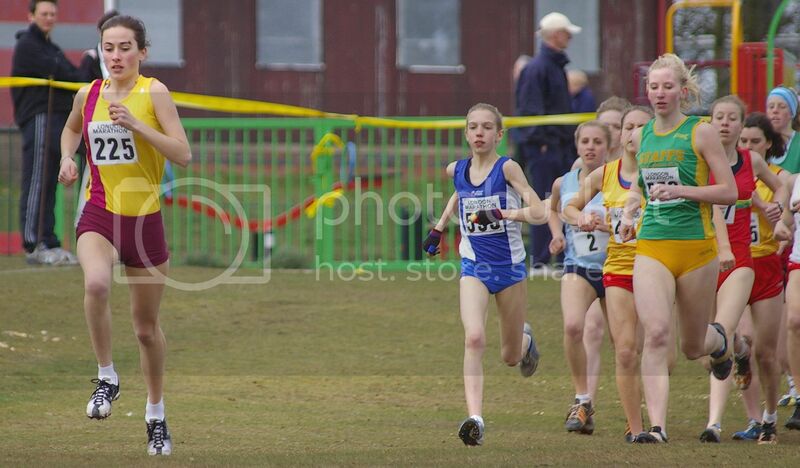 Danielle was 51st at the English Schools Cross-country Championships in Hylands Park. 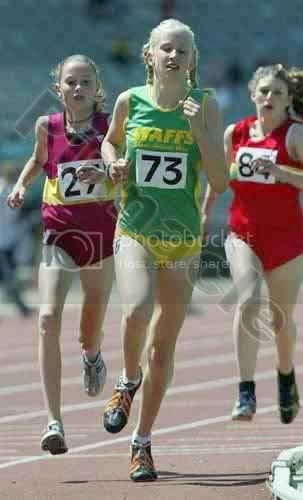 In July Danielle took the silver in the Junior Girls 1500m at English Schools, in a time of 4:........, again behind Pidgeon. Pre-race: Nottingham: Danielle Walker (393)was a close second to Stephanie Twell (177) at the English National, having won the Midland title in January. She was also second to Emily Pidgeon (153) at last winter’s English Schools Championships. Danielle was 4th in the U15s race at the Reebok Inter-counties in Nottingham. Danielle was 8th in the Reebok 2003/2004 series, with 82 points. 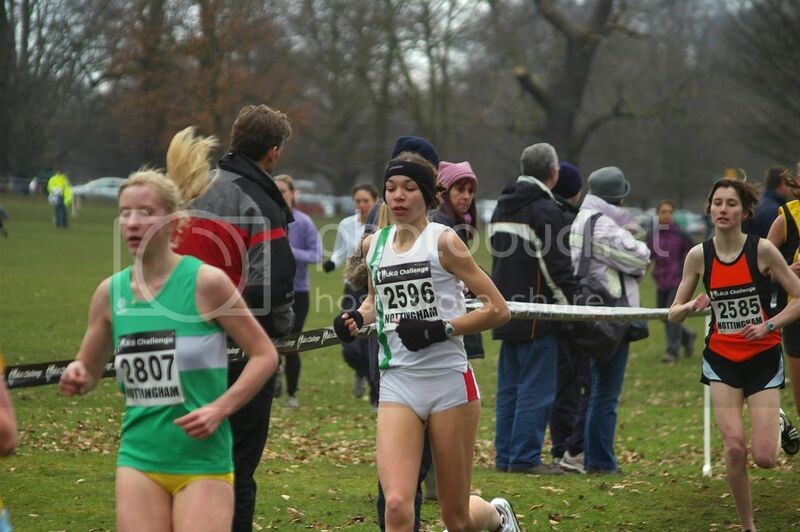 In March, Danielle was 23rd in the Inter Girls' race at English Schools in Maidstone, Kent. Danielle took the silver medal in the Intermediate Girls' 1500m at the English Schools Track and Field Championships in Gateshead, after finishing 3rd in her heat. Her time of 4:26.70 was a national standard performance, in an extremely high-class field. The race was won by Surrey's Danielle Christmas, who streaked ahead to win with a 2 second margin. Danielle's heat was an incredibly close race, with just 2 tenths of a second separating the 4 qualifiers. 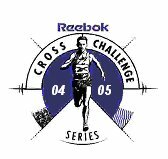 Danielle Walker was 4th in the the U17s race at the Reebok Cross Challenge race in Falkirk. A cracking race was expected in the Under 17 Girls which included amongst others, National Champions from Wales, England and Scotland. Second, third and fourth places were battled out between Danielle Walker (Royal Sutton Coldfield AC), Siobhan Coleman (Pitreavie AAC), Kaseylea Shuttleworth (East Cheshire Harriers) Jessica Sparkes (Woodford Green with Essex Ladies AC) and Stephanie Roe (Preston Harriers). Non Stanford (Swansea Harriers) reached the final 150m straight looking confident and relaxed, almost the entire length of the straight ahead of what was to be a comfortable second place for Siobhan from Jessica. Danielle Walker (Royal Sutton Coldfield), who has just spent the last month training with Kelly Holmes in South Africa edged out Gloucester AC's Sarah Hopkinson in a sprint finish to win the Under-17s 800m at the Sheffield Indoors meeting on Sunday. Pre-race: The top two athletes in the Under 17 Women’s standings compete in Belfast, Siobhan Coleman (Pitreavie AAC) and Jessica Sparke (Woodford Green with Essex Ladies). Also in the field are two athletes who attended the recent Norwich Union sponsored ‘On Camp with Kelly’ with Kelly Holmes in South Africa, Non Stanford (Swansea Harriers) and Danielle Walker (Royal Sutton Coldfield). Stanford won the first race of the Series in Falkik where Walker was fourth. Stanford was also second in the fourth race in the series in Liverpool, behind Ashleigh-Gayle Murray (Pitreavie AAC) who also races in Belfast. 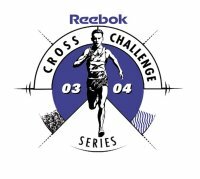 Danielle was 2nd in the U17 women's race at the Reebok Cross Challenge race in Belfast. The Under 17 women’s race saw a group of five break away with Victoria Briggs of Halesowen getting the better of the two leading athletes in the Series. Pitreavie’s Siobhan Coleman and Woodford Green’s Jessica Sparke were hoping to improve their Series positions, but the opening stages saw Royal Sutton Coldfield’s Danielle Walker, back from the Norwich Union sponsored On Camp With Kelly’ in South Africa, to the fore with Briggs on her shoulder. But it was Briggs who pulled away for a seven seconds victory to lead the Midland Counties to a team win. BMC, Millfield: The Women’s 800m A race yielded two meeting records. Emily Goodall (Crawley AC) won in 2:11.26, becoming the fastest yet Under 17 over the distance at this meeting. Danielle Walker (Royal Sutton Coldfield AC), one of the teenagers to benefit from being On Camp With Kelly, was second in 2:11.59, also inside the previous Under 17 meeting record. And Sarah Hopkinson (Gloucester AC) took third place in 2:12.41, the quickest time registered by an Under 15. 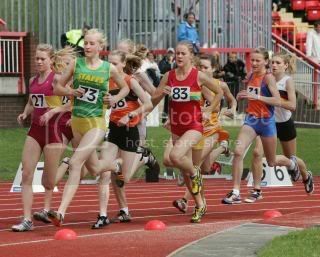 BMC, Manchester: Dani was 2nd in the Women's 800m B race 2:09.26.